Sachin’s retirement: What next after ‘Fab Four’? Rahul Dravid, Sachin Tendulkar, VVS Laxman & Saurav Ganguly: The ‘Fab Four’ were the backbone of the Indian batting line up for years on end. Whether it was rescuing the team from perilous positions or batting till the crows came home, these 4 were the heart and soul of the Indian team whenever it was needed. Saurav left first. Then came Dravid and Laxman’s turn. None of them had really great farewells so much so that they were almost pushed to retirement as calls became louder to have a younger team and fresh legs. It was said that youngsters performing badly is better than oldies extending their time. But Tendulkar was different. He was the so called ‘God’ in the temple of Cricket. He couldn’t go without a bang, could he? Top 3 ways to shirk responsibility when things fail! Success is like a drug. When people succeed, they love to take all the credit. Even if there was a team involved, many people love to be the center of attraction trying to ensure they get all the praise. But when things fail, why does everyone try to escape? Why is it that no one wants to be accountable for failure? Why is that people tend to buckle under failure? Someone has rightly said that there is always a calm before a storm. A storm can be as dangerous as it gets. When things get very happy and successful for anyone in any part of life, people tend to warn that failure or disaster is always around the corner. You don’t always get all the happiness. It’s a mixture of the good and the bad which you need to be able to tackle. Singapore Diaries: 4 months & counting! When I had landed at Changi, I had expected that I would be in this country for just about 45 days. But after multiple extensions, things have moved past 4 months and still counting. The best part about such extensions is that you get to know about the country, the people and the culture even better over an extended period of time. This would be way more than a tourist would know. Normally when you are a tourist to Singapore, there are certain specific places you would visit. Whether it is Sentosa or Universal Studios or Marina Bay or even the Night Safari, these are some of the favourite jaunts of to – be tourists. 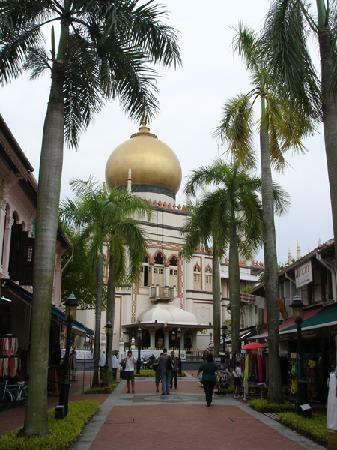 But how many times would you go to the Arab Street to have some lovely Arabic food? How many of you would go to a nightclub to party? How many of you get a chance to see Little India during Diwali times?